A gas leak can be extremely dangerous. Learn here how to detect and prevent them. Gas leaks are one of the most dangerous problems your home could face. A gas leak can lead to fires, carbon monoxide poisoning, or even explosions. They are usually caused by appliances and gas fireplaces that are incorrectly fitted, poorly maintained, or faulty in some way. How can you detect whether you might have a gas leak, and what can you do to prevent it? The most obvious sign of a gas leakage problem is the smell of gas in your home. However, you may not be able to smell it sometimes. There are physical symptoms associated with gas leaks that you may suffer whether you can smell it or not. Lightheadedness, dizziness, and nausea are the most common side effects. If you are experiencing any of these while in your home, go outside immediately. If the symptoms go away, it may be a sign that you have a gas leak, and you should turn off your gas supply and contact a professional immediately. Your kitchen appliances may also be telling you about a potential gas leak. 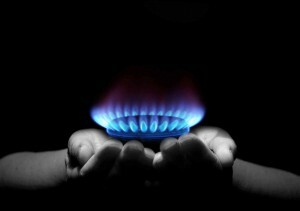 On gas stoves, look for a crisp blue flame rather than an orange one on your stovetop. Check the outside of the appliance for evidence of soot or any black/brown scorched areas. Finally, if your pilot light always seems to be blowing out, that may be another warning sign. The best way to prevent gas leaks is by ensuring that your appliances are installed by a trusted contractor. Check them regularly for any signs of wear and tear, and have them maintained and repaired immediately if there are any problems. You should also install a carbon monoxide alarm in your home to detect any abnormal carbon monoxide levels. These should be installed in an open space like a hallway and the batteries should be changed once a year to ensure that you and your loved ones are protected. Ready to Prevent Plumbing Problems and Gas Leaks From Giving You a Headache? Give Master Plumbing a call at (301) 650-9100 or contact us online to get more information on how our expert plumbers can help you with any potential plumbing or gas line problems in your home. We have received Angie’s List Super Service Award recognition for plumbing and drain cleaning every year since 2007, in addition to the Best Plumber award from Best of Bethesda. We are fully licensed, bonded, and insured and our service is unparalleled. Give us a call today—you won’t regret it! To see examples of our projects, follow us on Facebook, Twitter, and Pinterest. This entry was posted on Wednesday, October 19th, 2016 at 5:24 pm. Both comments and pings are currently closed.